My 2017 Philadelphia Marathon is COMPLETE! So many emotions. That’s all I can say over and over when people ask me how I am feeling post race – I just have so many emotions. Mostly good – pretty much all good. A few eh, which I’ll get to. But overall, I am so so so happy. My official time was 4:08:33 (avg pace 9:19) which is a 19 minute PR for me. NINETEEN MINUTES. My previous best time was the Burlington Marathon which I ran in the spring of 2015 and my official time was 4:27:03. So crossing that finish line I felt immensely proud of myself . I couldn’t stop crying tears of joy as I made my way through the finishers chute and then out to meet up with hubs and the twins. I was a blubbering ball of joyful emotion. The joy and pride I felt (and still do!) for sure stemmed from the fact that I trained for and finished a marathon as a mom. It was so different this time around. 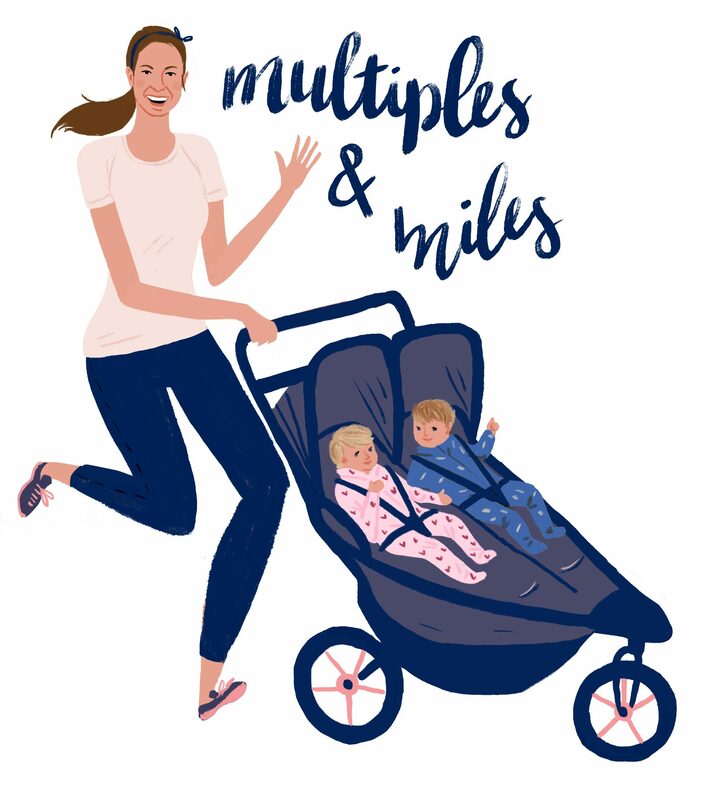 My plate is infinitely fuller now that I have twin little ones – and as I’ve mentioned before, as a mother runner, there’s no going for a long run (or any run!) then relaxing or taking it easy. It’s more like run 20 miles then jump right into playing/reading/diaper changing/feeding before you even have a chance to shower, get a drink of water or feed yourself. So juggling 19 weeks of training – on a more intense plan than I’ve ever covered before – was a huge accomplishment for me. In many ways, that was just as big an accomplishment as running the race itself. The joy and pride also came from the fact that race day was a brutally windy day. 20-30mph winds with gusts up to 40mph. It was intense. Naturally I am sore and tired from the race, but truthfully I feel a bit more beat up because of the wind. Despite taking place in a bigger city, much of the Philly course winds through pretty open areas – parks, the river trail, etc. Because of that a majority of the course left the runners open for getting blasted by the wind – and blasted we were. There were some gusts that blew so hard I was actually running in place. I tried my best to run strategically in that when the wind blew I would just ease up rather than fight it – but it was so gusty and intense at times I mostly just felt like I was bracing against it over and over and over. It felt like I was getting tossed around in a rough ocean. Crossing that finish line – probably amid a gust of wind – I was so happy that I had fought through the tough conditions and finished strong! In addition to the wind I was thrown off a surprising amount by the fact that my Garmin was not synced at all with the race mile markers. It was off by .2 – .5 of a mile. And for some reason halfway through the race I started to panic because it made me question of the mile splits and paces I was seeing on my watch were actually right in translation to the distance of the course. I feared I was going slower than I thought I was – and once you’re into the 13, 16, 17 miles of a marathon everything starts to feel a little numb and sore so for me it’s hard to judge – yes I am FLYING vs yes I am a turtle. (Anyone else know what I mean?). But thankfully at mile 22, I started to put the math together that I was going to finish around 4:10 or earlier, and I was so excited and emotional. So…then there was the eh stuff about race day I mentioned earlier. There was a lot going through my head on race day. There was WAY too much doubt to be honest. If I could change one thing about the race it would be that. With the wind and my Garmin, and the fact that my legs started feeling sore around mile 10 (oddly enough a quick stop at a potty at mile 10 REALLY helped that go away…maybe I was tense from clenching my bladder?! ), I felt like I battled a lot of demons. I did my best to fight them off. I tried to focus on the mile I was in vs worrying about what was to come or analyze the miles I had already run (Did I do that hill too fast? Was I saving enough energy for miles 22-26?). I ran as best I could for the moment I was in and kept plugging along. I’d ask myself, how do you feel right now in this moment? Do you have more to give? Or do you need to stay where you are?” And I’d either just keep plugging along or I’d try to go a little faster. So, there’s room for improvement for my next race in terms of my mental preparation as well as my race day mantras/focus. Which speaking of my next race, at mile 20 on Sunday I was convinced I would never run another marathon ever again….and now I’m already wondering when my next one will be. HA! Isn’t that how marathoning always is?! Overall though, this race has left me feeling GLORIOUS. I’m still riding a high from crossing that finish line. A 19 minute PR, 19 weeks of training and taking care of a family, fighting brutal winds and mental demons….it all has made me feel like a BAMR to the max. I’m proud of myself and happy with the race I ran. So now the only question is – what’s next?! We’ll have to see!